Flywire technology provides increased support from cables that wrap around the foot and adjust to every move. Flyknit construction combines second skin fit with breathability. The boot becomes one with your foot. Dynamic-Fit technology integrates your foot and ankle with a sock-like fit over the ankle. 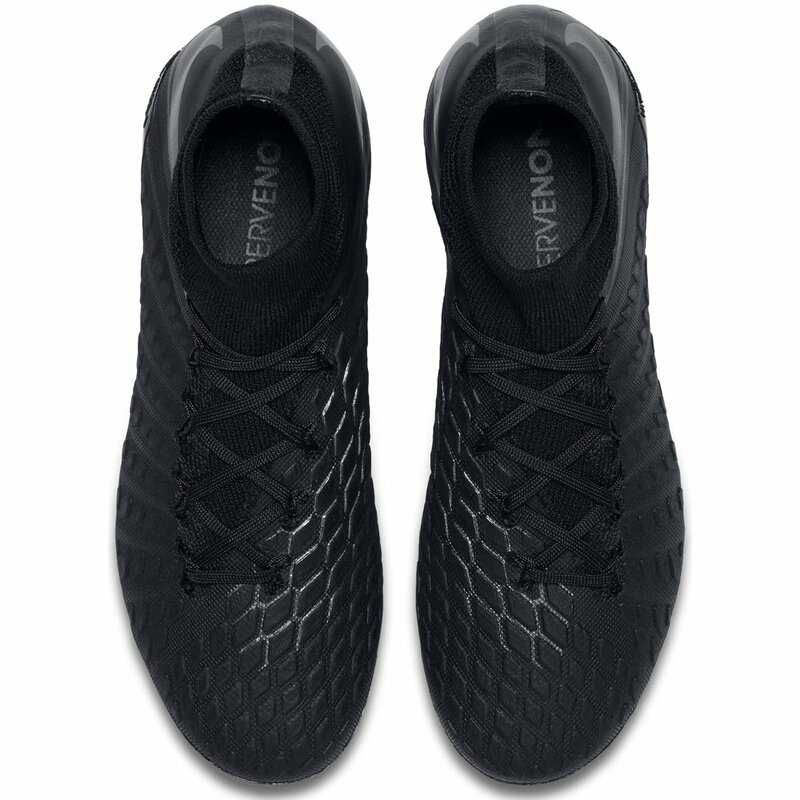 HyperReactive sole plate features a section of the forefoot which is flexible yet stable, allowing you to change direction and cut past your opponent. 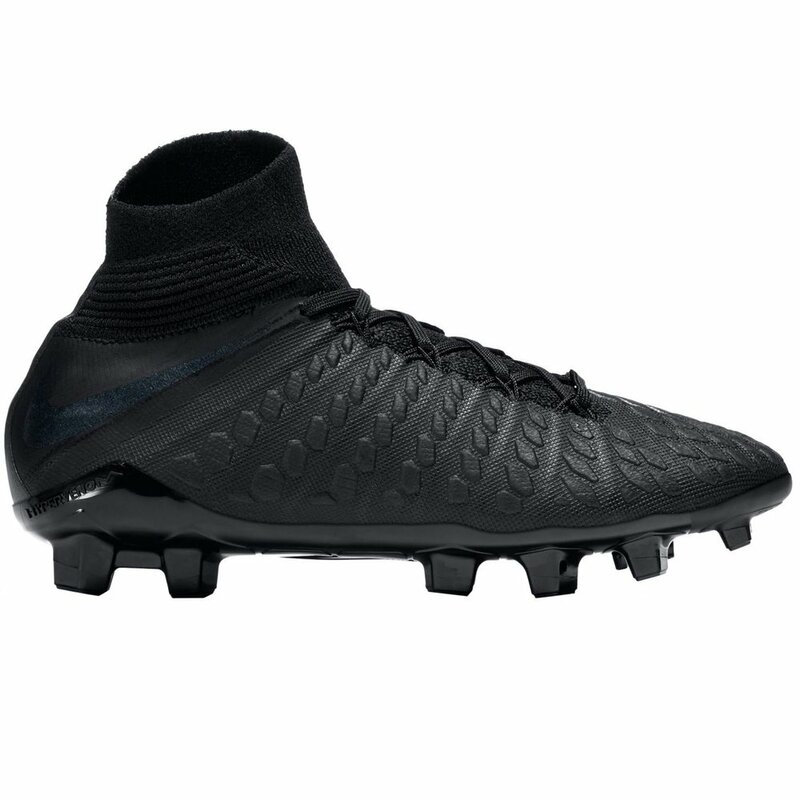 Added texture to the striking area improve speed and touch on the ball. 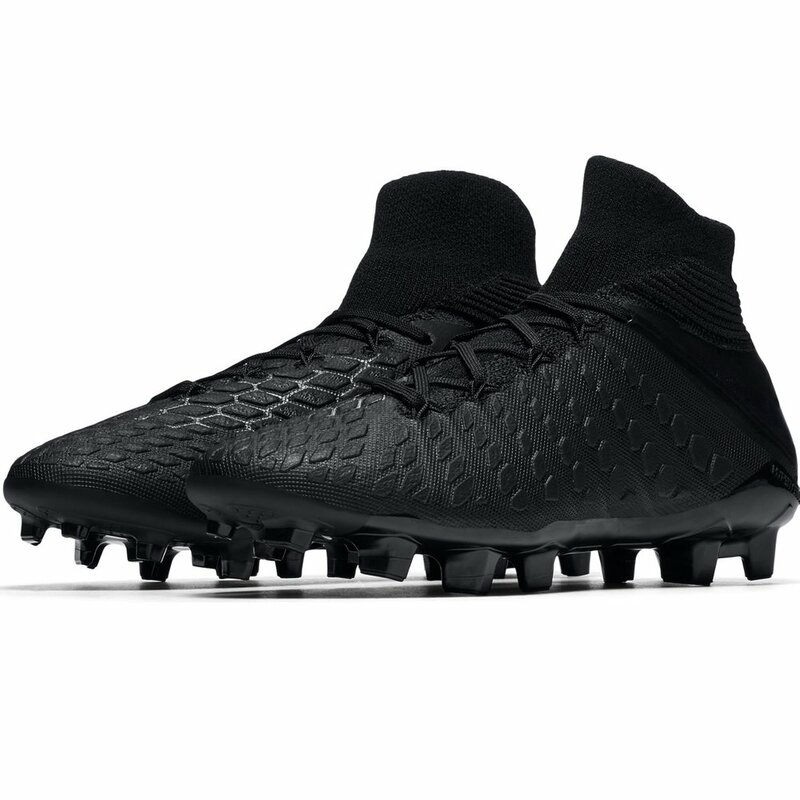 Unique stud pattern allows for incredible traction, acceleration, and stopping power. 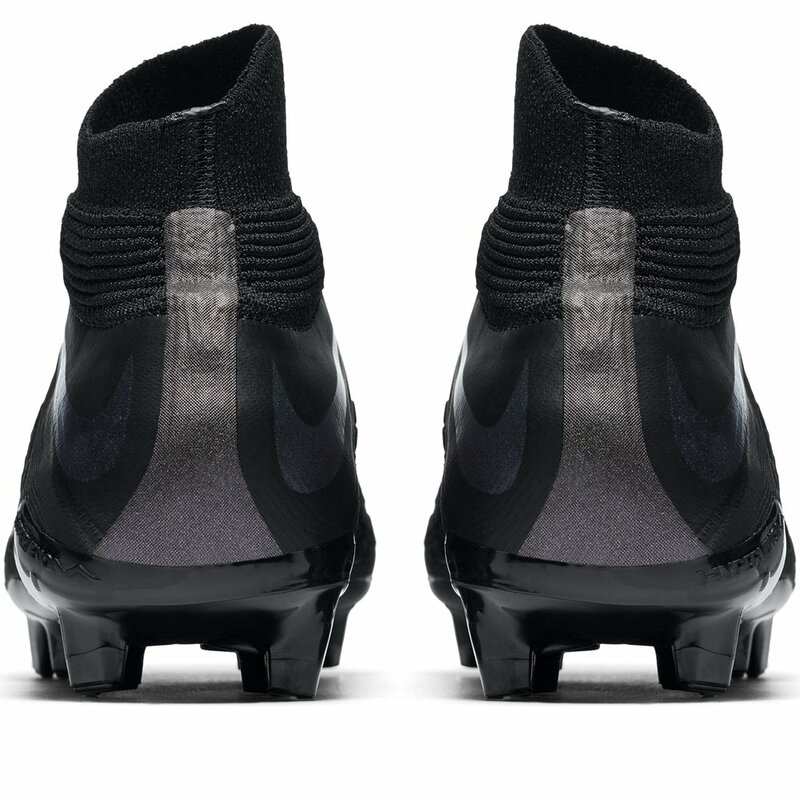 Asymmetrical lacing system increases the contact area for pure striking. 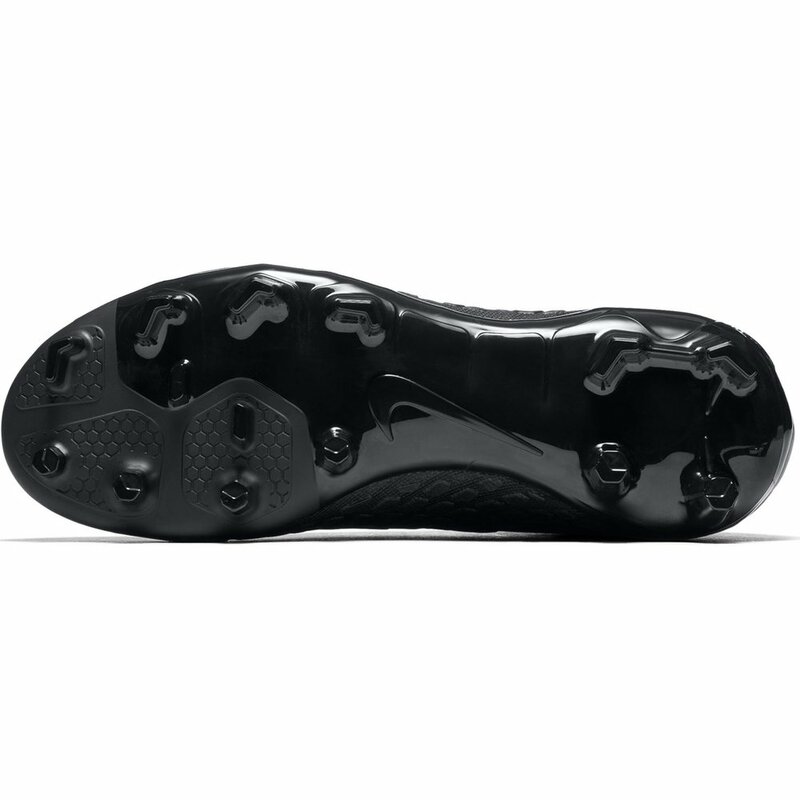 Firm Ground cleats provide exceptional grip on short-grass fields that may be slightly wet. 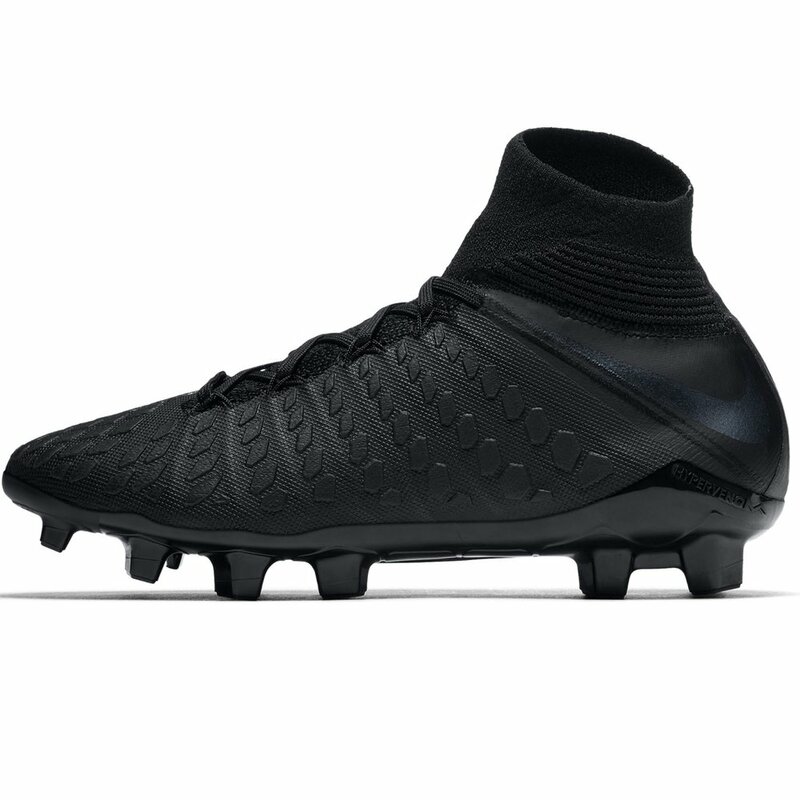 The Nike Kids Hypervenom 3 Elite DF FG - Available today at WeGotSoccer!